Tuffy says: Azuls My Daddy is Breeding Stock. I sold her sister and just about cry every time I think about it. 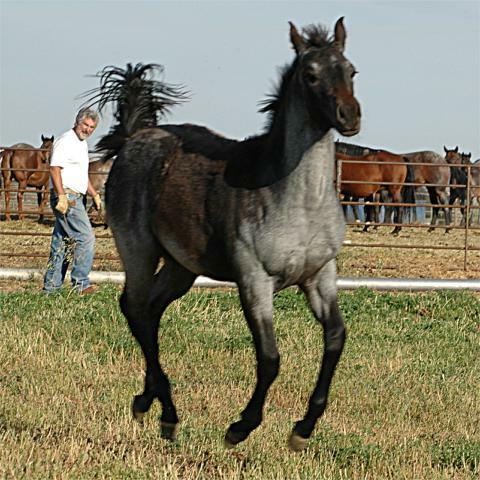 This terrific blue filly is here to stay. And I am going to do the same each time of think of this girl! Thanks Lindsay on the purchase of this great filly! UPDATE! This nice mare is back at our farm! She is a reining horse now and will be fun to play with here on the farm. And maybe a few shows here and there! And don't forget her future as an addition to our broodmare band! Welcome back Daisy!